Green Shell Consulting, LLC is an experienced team of professionals providing consulting expertise to clients on many types of commercial or residential projects. Team professionals provide services from indoor air quality testing, due diligence inspections, code compliance, construction consulting, to LEED consulting and sustainable design services. Environmental and human health issues come into consideration on many construction sites as well as in the maintenance and repair of existing homes and buildings. Green Shell provides solutions on a variety of indoor air quality issues such as mold, asbestos, lead, and volatile organic compounds (VOCs). We also provide services such as Phase I and II Environmental Site Assessments, Water Entry Investigations and Consulting, Window Testing, Brownfield Development Services, Site Characterization, Soil and Groundwater Studies, Mold Inspections and Testing, Asbestos and Lead-Based Paint (LBP) Services, Underground Storage Tank (UST) Management, Water Protection Services, Regulatory Compliance, Remedial Design and Remedial Action. 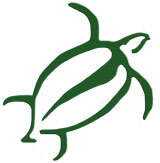 Learn more about Green Shell Environmental Consulting. Green Shell offers LEED consulting for new construction as well as retrofitting existing facilities as needed for commercial and industrial clients. For residential homeowners preventative maintenance and simple, fundamental changes to the home, can lead to an improved quality of health and greater energy efficiency, let us help you make your building 'Green'! At Green Shell we are dedicated to solutions and services that will help you respond better to existing challenges, evaluate opportunities to improve performance as well as help you reduce future liabilities.